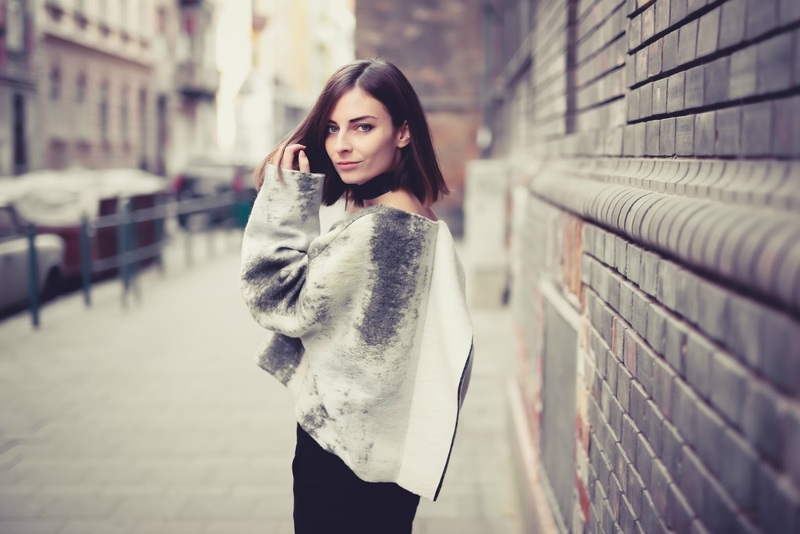 I really love this NUBU piece that I just decided to call it a statement jumper, I don't know if the term exists but it certainly fits this top! Funny how something so minimal can be so unique and statement-like! It has a great cut, I love how oversize it is, especially on the arms. It can be worn in so many ways, I think it could be perfect if you are feeling more girly over a tight dress or or something high waisted, but I was feeling very tomboyish and paired it with a simple pair of low rise pants and my CAT combat boots. I also added this DIY choker that I wear so often now it could my signature look. My best friend even noticed and asked 'what is this thing you're wearing all the time?' and I said I just love it, chokers are in anyway, but it's just a piece of ribbon that I took from the Amfar gala in Cannes (it was tied around the menu I think, ahaha). Check my selection of 'statement jumpers' below and let me know which one is your favourite?